HFD Training is approved by the RTITB to conduct all types of forklift truck training courses for Counterbalance, Reach and Rough Terrain trucks. We provide forklift driver courses locally throughout Hereford and the rest of the UK. As of September 2014 HGV drivers require a driver CPC to drive commercially. This will require them to undertake 35 hours (5 days) of classroom training over 5 years. Book your Driver CPC course in Hereford with HFD training. We are based in Hereford and cover all surrounding counties including; Worcestershire, Gloucestershire and Shropshire. Enquiring from further afield? Get in touch, we can cover most of the UK. Providing a fully qualified, RTITB accredited forklift training service throughout Hereford, Worcester and most of the UK. All of the HFD forklift training instructors are highly qualified and have had many years experience in the areas that they train. Our courses cover forklift driver training, Driver CPC and a range of Conversion, Experienced, Novice and Refresher courses. This means that they can pass on the benefits of that experience as well as their expertise. In this way, we can increase safety awareness and minimise workplace accidents while saving you money. 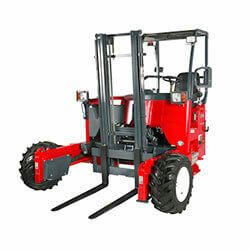 Unsure of the type of forklift truck you require training for? Have a look at our comprehensive list of forklift trucks to find yours. View the types of Forklift training courses we offer below. Talk to a member of our team today about booking your forklift training courses in Birmingham, we are a very competitively priced and provide fully RTITB accredited training. Formed in 1993 HFD Training Services has trained in various companies nationwide. We take exceptional pride in our adaptability, responsiveness and professionalism. Our customers range from individuals, small, medium and large-sized companies. We can train a single operator, right through to meeting the volume and needs of major manufacturing, retailing and distribution companies. Training courses are fully approved by the Health and Safety Executive and all HFD instructors are examined and registered with officially recognised accrediting bodies. Hereford forklift training covers the entire West Midlands and Wales. 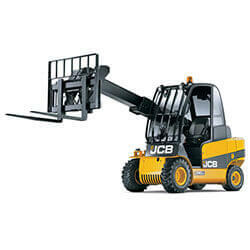 HFD Training is also able to provide forklift training and driver CPC to the whole of the UK, please contact us.